With several secret surveillance programs and also various online crooks and hackers, smartphones including the iPhones are constantly on the radar of the snoopers. Android being the widely used smartphone OS is also favorite of the spies. Now, users need not worry as there are remedies to combat these snoopers from invading your privacy, wonder how? Just download any of the below apps and prevent your smartphone from being snooped. RedPhone & TextSecure: With this app Android users can encrypt their “Phone calls” as well as “Text”. Users can try to download the free RedPhone and TextSecure apps from this link : https://whispersystems.org/ This is a free security app from Whispersystems. Users will have to download two individual apps from this site. RedPhone App: This is an Open source App which provides end to end encryption only for the “Phone calls” ensuring it is protected from any surveillance. Users need to download this App for free of cost. Once downloaded users can use their normal phone number to make as well as receive the calls. The most important requirement while using this app is that the caller and the recipient both need to have the app installed in their Android handset. TextSecure App: This is an Open source App which provides end to end encryption for the “Texts and chat messages” not only on the Android phone but also over the air. Here all the messages are encrypted locally hence anytime even if the phone gets lost then user need not worry as the messages will be safe. In this case, sender as well the recipient of the texts and chats needs to have the TextSecure App and the encrypted communication takes place on air which is again encrypted. Silent Phone: Users need to get the Silent Circle’s Silent Suite which provides them both the “Silent Phone” as well as the “Silent Text” facilities. Silent Suite is a paid service. Android as well as the iOS users need to download this app from : https://silentcircle.com/services. The paid service allows users to encrypt their phone calls, files, texts, emails and video recordings. Whenever a Silent Circle subscriber makes a phone call or video chats with another Silent Circle subscriber, the entire transmission is encrypted end-to-end from sender’s handset hence, users can also erase all the details from sender’s device within minutes of sending it. An alternative to Silent Suite is users can opt for tedious procedure of getting the Silent Phone downloaded for free of cost however to avail the encryption service they need to be a paid client of Silent Circle and further here users need to download different apps for Phone call encryption and Text encryption. iPhone users need to download this link to get the Silent Text:https://itunes.apple.com/in/app/silent-text-2/id868431189?mt=8. So instead of downloading so many apps users can stick to Silent Circle’s Silent Suite which is an answer to all in one! Orbot and Onion browser: These apps are Tor powered apps which assures more secured Internet access to its users. 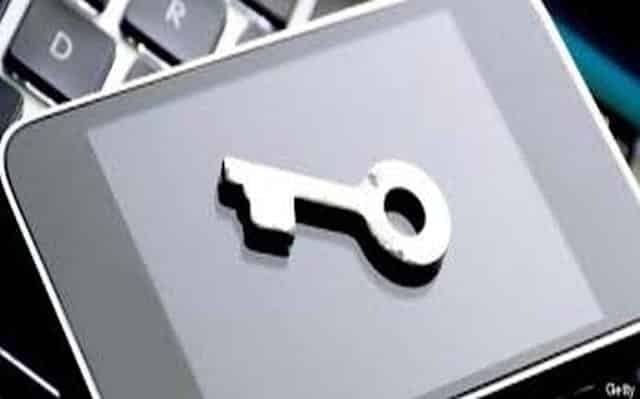 These are Top 3 apps which can be used by the Android and iPhone users to secure the privacy of their smartphone. Readers can feel free to mention the apps that they have been using to protect their privacy on the smartphones.